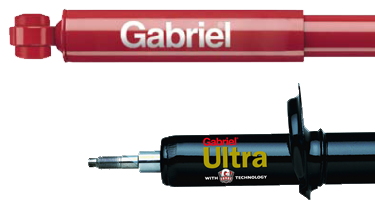 The Gabriel brand itself dates back over 100 years to 1907 when the original owner developed the first shock absorber in the North American market and named it "The Snubber". This innovation was followed by others: the hydraulic shock absorber, the adjustable shock absorber and the first air adjustable shock absorber. Today, the Gabriel brand is sold in all parts of the globe and the development continues. For the Australian market there are over 1000 part numbers available for a wide range of cars, light and heavy duty trucks, with products to suit over 80% of vehicles on the road. Gabriel shock absorbers and struts are widely distributed throughout the country and are available from SuperCheap Auto stores and from other major auto parts resellers. Brandlines have recently extended their activities into a number of Asian markets where they assist the Gabriel U.S.A. company in improving its brand presence and product coverage.